Throughout the years, Dayton Children’s has been blessed and strengthened financially thanks to the generous support of the community. Each year, dozens of individuals, groups and organizations host events to benefit the hospital. Our community’s financial support and volunteerism make it possible for us to care for every child needing our services, attract top pediatric specialists to our staff, purchase the most advanced technology and accommodate the community’s need for key services. If you are interested in hosting an event for Dayton Children’s, please review our event guidelines and "how we can help" sections below, and then complete an event registration form. Please contact us at least one month prior to your event. Any event or promotion that involves the name of Dayton Children's Hospital must be approved in advance by the Dayton Children's Hospital Foundation at least one month prior to the event. A third party event registration form must be completed before such approval can be granted. Please allow for up to five business days for event review and approval. Dayton Children's Hospital gift officers are not responsible for planning, executing or staffing third party events. The event must not require any financing from Dayton Children’s. The sponsor must assume all costs of the event. Dayton Children's cannot assume any liability for your event. Dayton Children's encourages you or your organization to send press releases and produce other publicity. Before sending a press release, media alert, advertisement or other form of publicity to any media outlet, please submit all copy/design to the Foundation for review and approval. Publicity may not suggest that the event is being sponsored or co-sponsored by Dayton Children’s or that the hospital is involved in any way except as the beneficiary. The suggested way to describe hospital involvement is to list the event name followed by "benefiting Dayton Children's through…" It is our understanding that 100 percent of the net proceeds will be donated to Dayton Children’s. We reserve the right to examine possible involvement of any other charity or suggested split of proceeds. Dayton Children’s reserves the right to use photos and information about third party events for the benefit of the hospital in publications and other materials. Please make checks payable to Dayton Children’s Hospital Foundation. Cash donations of $500 or more should be submitted as a cashier’s check or money order. All funds raised from the proposed event must be submitted to the hospital within 15 days of the event. To arrange drop off during business hours of 8:00 a.m. – 5:00 p.m., please call the Foundation office at 937-641-3405. All visitors dropping off a donation to Dayton Children's must abide by our dress code. This includes no logo t-shirts or other clothing with inappropriate or derogatory slogans or marks, short skirts, sagging pants etc… Our security officers hold discretion to discuss attire with a visitor if they deem it to be inappropriate or unsafe for Dayton Children’s environment. Dayton Children’s is unable to provide volunteers and staff for the purpose of the event. Requests for Dayton Children’s representatives to attend the event will be handled on a case-by-case basis. Due to the volume of requests made and the availability of staff, not all requests can be fulfilled. Hospital mailing lists, including donor lists, are confidential and maintained for hospital use only and may not be used to promote your event. The Dayton Children’s logo may only be used if the sponsoring organization has received prior approval from the hospital. We will supply a print-ready or electronic Dayton Children’s "benefitting" logo upon request. Dayton Children’s requires all event materials (posters, t-shirts, etc.) that include the hospital name or logo to be reviewed and approved by Dayton Children’s before production. Please allow five business days for review. Dayton Children’s may provide a banner to hang during the event based upon availability. The banner should be returned to Dayton Children’s immediately after the event. Dayton Children’s staff cannot assist with ticket sales. Tickets may not be sold on the hospital premises. Dayton Children's will post approved third-party events on the hospital's website calendar of events. It is your responsibility to submit the event for publication. 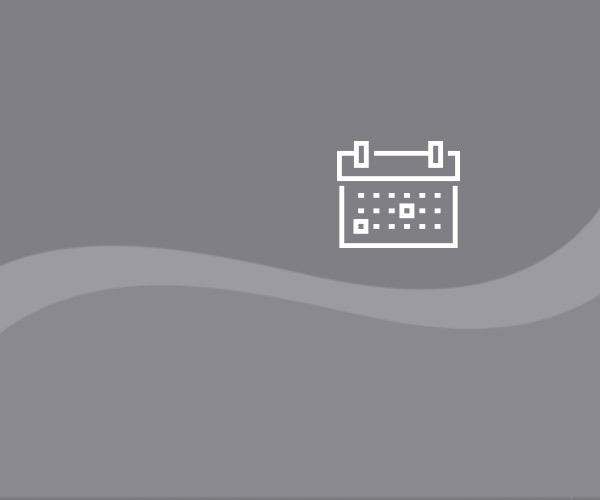 Please allow five to seven business days for your event to be approved and posted on our online events calendar. Virtual and digital fundraising continues to grow and expand and we are seeing more and more individuals and groups wanting to take this approach for supporting Dayton Children’s. The same guidelines above apply to virtual events. You can set up your own fundraising page to support Dayton Children's on Crowdrise. Get started by setting up a Crowdrise account and profile. Then come up with a fundraising project - a marathon, a bike ride, tournament...be creative! Invite your friends and family to help you with your fundraising project through the social media feeds and email generator. It is so easy and fun to do! Watch your progress grow, earn points, participate in Crowdrise contests, and see a scroll of your donors on your project page. Gifts are processed automatically by Network for Good and sent directly to Dayton Children's.